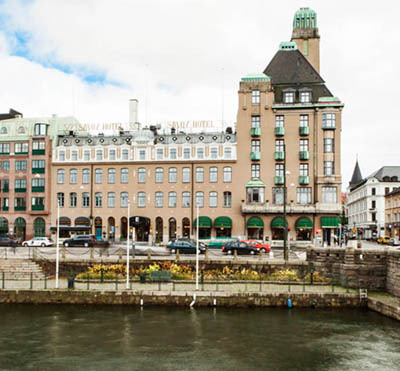 You find Elite Hotel Arcadia in central Stockholm. Our four-star hotel touches the borders of both Östermalm and Vasastan, not far away from the legendary Stockholm Olympic Stadium and the Royal Institute of Technology. At Elite Grand Arcadia you are accommodated close to public transport such as buses and underground, which gives you quick access to the Central Station and the rest of Stockholm. If you prefer walking, a short 15 minute journey by foot will bring you to shopping, museums, restaurants and Stockholm's highly acclaimed night life. Here at Elite Hotel Arcadia you can enjoy a recently completely refurbished hotel. With an intimate atmosphere and our four-star high-class service in combination with well-planned comfortability we provide the perfect backdrop for a memorable stay. Warmly welcome to discover Elite Hotel Arcadia! Have you been to Elite Hotel Arcadia and want to give your own comments?